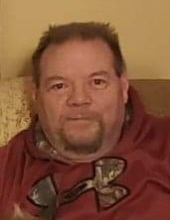 Hastings resident, Paul “Bubba” Casteel, 61, passed away Thursday, March 14, 2019, at Mary Lanning HealthCare in Hastings, Nebraska. Funeral service is 2:00 PM, Tuesday, March 19, 2019, at All Saints Chapel in Good Samaritan Society in Hastings, Nebraska with Chaplin John Mueller officiating. Visitation will be one hour prior to the service at the chapel. DeWitt Funeral Home and Cremation Service is handling arrangements. Bubba was born November 23, 1957, in Grand Island, Nebraska, the son of Jack and Betty (Scherzberg) Casteel. He graduated from Grand Island High School with the class of 1975. Bubba was employed at Thermal King for 36 years, retiring just last year. He was united in marriage to Connie Cook on March 18, 2002, and became a loving stepfather to her three sons. Bubba was a member of Turkeys Forever and enjoyed hunting, fishing, and camping. He adored his grandchildren and they adored him back. Bubba was selfless and kind, he would take the time to learn your name and had a great sense of humor. Bubba is survived by his wife, Connie of Hastings, NE; step-sons, Tyler (Amber) Peper of Brookings, SD, Chase Peper of Denver, CO, and Aaron Peper of Boseman, MT; grandchildren, Jamison, Quinn, Autumn, Cameron, Mason, and Phoenix; sister, Marybeth Casteel of Grand Island, NE; along with numerous cousins; and his two beloved dogs Sadie and Sophie. To send flowers or a remembrance gift to the family of Paul "Bubba" Casteel, please visit our Tribute Store. "Email Address" would like to share the life celebration of Paul "Bubba" Casteel. Click on the "link" to go to share a favorite memory or leave a condolence message for the family.